In this course, you will hear from Ethan Cowles as he presents key findings of the FMI 2017 Industry Prefabrication Study conducted in collaboration with BIMForum. You will learn how using BIM on mid-rise wood framed projects continues to provide enhanced project clarity for all stakeholders. You’ll also get an overview of prefabrication best practices and start thinking about how you can create a culture of innovation and encourage the adoption of prefab at your firm. Assess how BIM can be used to add value and eliminate construction issues that typically create problems in wood framed mid-rise construction. Identify how BIM is being used today specifically for mid-rise wood frame construction, allowing prefabrication and offsite construction techniques. 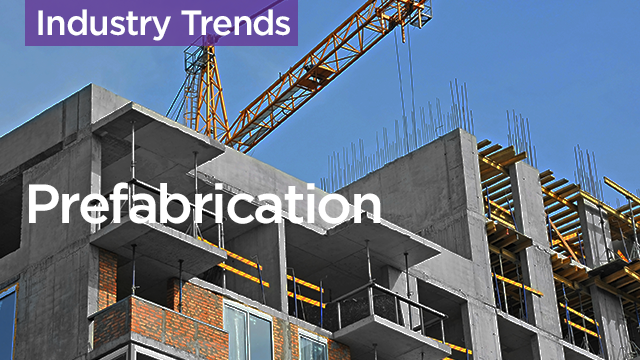 Identify prefabrication best practices ranging from small to large construction firms. Assess how your company can start to think about innovation and prefabrication now to prepare for the future.